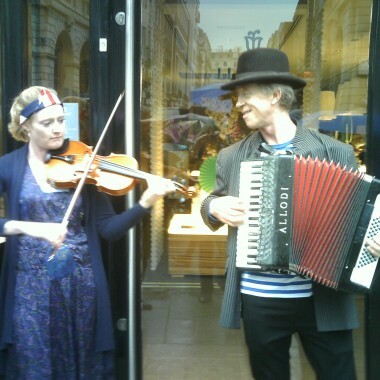 Accordian and fiddle duo for hire. Café du Monde play music from Scotland, Ireland, France, Romania, Italy, Russia, Latin America, Canada and USA, and many other styles. They even have an unique festive repertoire, featuring carols and Christmas songs from around the globe. Café du Monde play music from England, Scotland, Ireland, France, Romania, Italy, Russia, Latin America, Canada and USA, and many other styles. They even have a unique festive repertoire, featuring carols and Christmas songs from around the globe. Café du Monde is an accordion and fiddle duo. 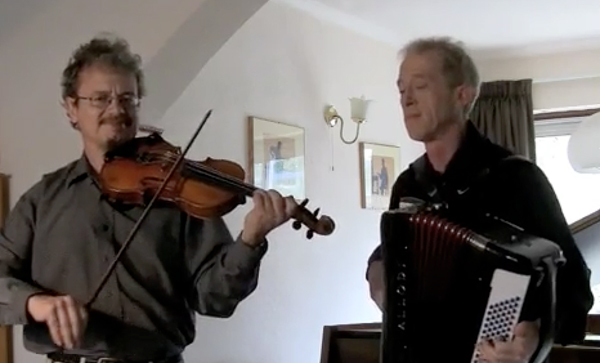 Alan Dunn (accordion) and Chris Haigh (fiddle) have been playing together for many years – they met as a result of a gig they both used to occasionally do at a Polish restaurant called Zamoyski. 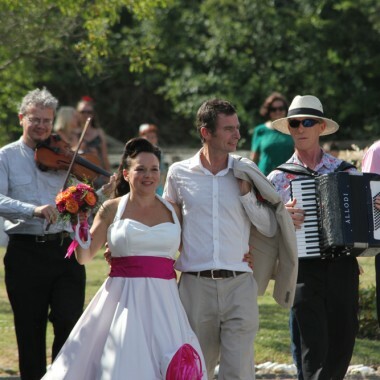 They soon discovered that they both had very eclectic tastes in music, and both seemed to have the goal of amassing the widest possible repertoire – including all the different styles in which fiddle and accordion are inextricably linked. 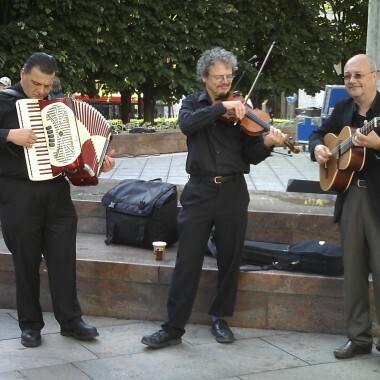 They also have an extensive nautical repertoire, and can in fact do an entire evening of sea shanties, songs about the sea and instrumental tunes with a salty flavour.